Hello everybody! 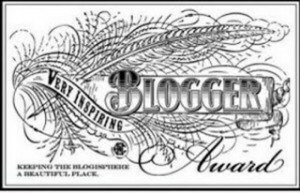 I was just notified that I got nominated for the very inspiring blogger award for the second time!! This is such a great honor for me yet again since I am just setting out to try to help girls and woman and inspire them to love them selves! This time I was nominated by the amazing and inspiring Meghan! Her blog Is amazing I find it inspiring enough that I had to nominate her my self in my last post! Her Blog is Finding Happiness as a 20something its amazing and inspiring I would Highly recommend becoming a daily reader!! ‹ PreviousTeach the next generation! Next ›Do your friends Define you?